Born in the cellar behind the boxes of crisps, and swaddled in a damp promotional beer towel, The Guv’ was born into a noble line of publicans. At 5 years old he was collecting glasses at a professional level. At 10 he was competing against adults in the regional drip tray emptying championships. And after barring someone for wearing sunglasses inside aged just 13, it was clear that while not Australian, this was the job he was made for. After graduating from the prestigious Landlord Academy, majoring in Ploughman’s Lunch studies, The Guv finally opened his own gaff aged 19. Finally, he had the platform he needed to give common sense solutions to common sense problems, all served with a pint for the fella and glass of white wine/fruit-based drink for the lady. As the years went by his audience outgrew the number of bar stalls in the gaff. The Guv started touring the country on his mission to re-Great Britain. Over the next 20 years he played to over a million regulars, pulling perfectly poured pints on stages around the world. He also looks a lot like this other guy, with the same name, who makes documentaries, presents shows and definitely can't change a barrel. 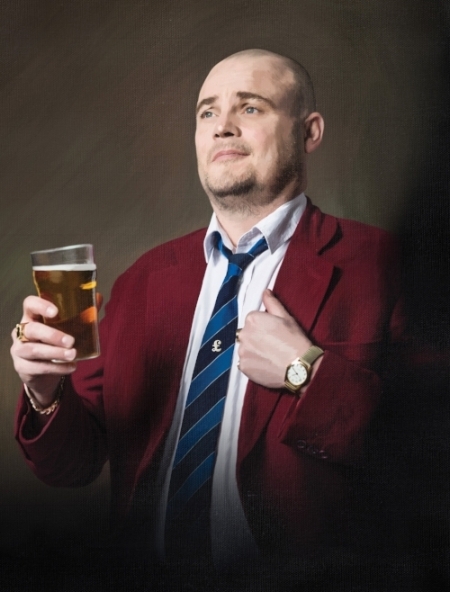 You can follow him on Twitter at @almurray or you can read more about him. Want to keep up with the latest news, gigs, shows and special offers from the carvery? the one who makes documentaries, presents shows and definitely can't change a barrel. © Al Murray. All Rights Reserved.